Impact cutting involves an extremely short, reproducible impact of a magnitude of milliseconds, which produces a relatively large cutting force. Known as adiabatic cutting, it is based on the principle that the heat produced with an extremely high speed of deformation is unable to dissipate by conduction. This creates thermal softening in the material of a level that exceeds the hardening that would normally occur through stretching, which allows the material to be cut through. The cutting energy is electronically controlled and monitored by special, complex software. The machine can be tooled or retooled in only a few minutes by entering the material parameters, feed rate and material diameter and exchanging the mould inserts. 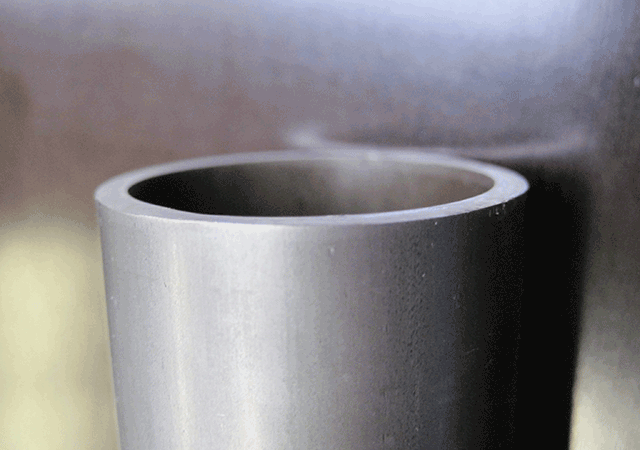 This environmentally friendly technique can be used to cut tubes and profiles as well as solid materials with short processing times. Very fast end facing with cycle times of under 2 seconds. 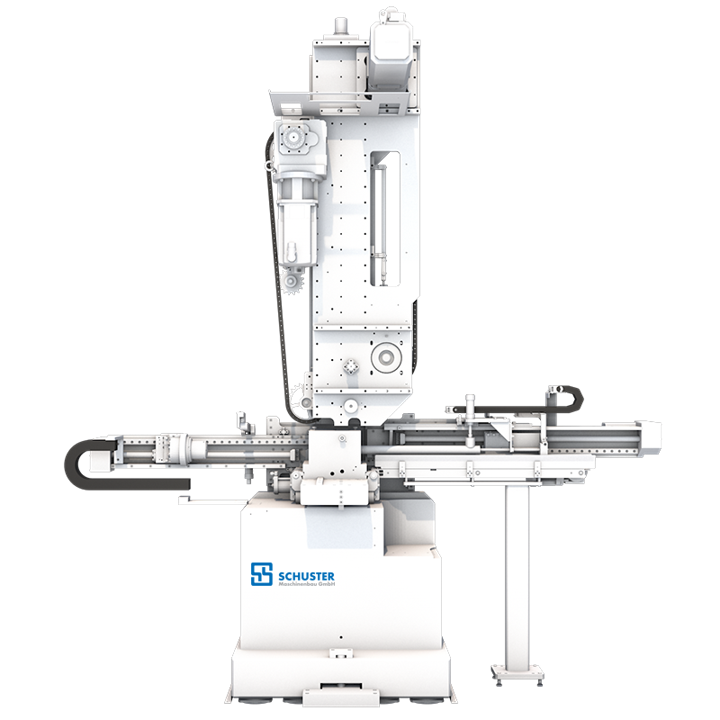 The patented impact source is controlled by a special software program which calculates the impact required for cutting through each material type and cross-section. Suitable materials must have a cross-section of up to 2,000 mm² and a tensile strength of approx. 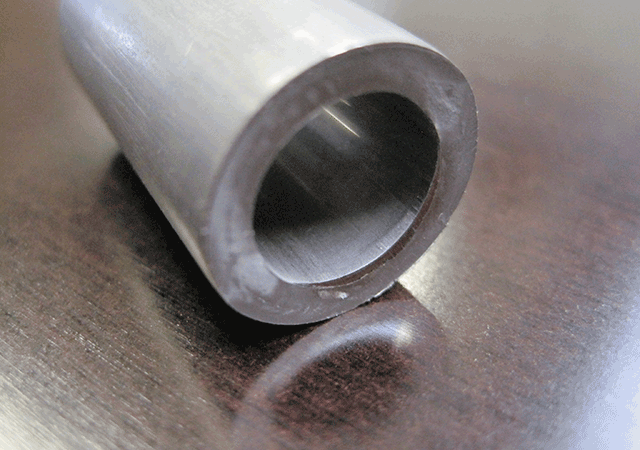 600 MPa (this corresponds to a diameter of approximately 50 mm for round materials). The maximum tube-cutting dimension is obtained by calculating the circular ring, taking into consideration a maximum external diameter of 65mm. The patented impact absorber transforms the residual energy following the cutting process by means of a special damping system. Materials are supplied from bar or bundle loaders subject to a maximum length of 12 metres. Bar materials supplied by bar or bundle loaders are transferred by an NC-controlled feeder unit and positioned for cutting with a precision of 0.01mm. The material is held in place by hydraulic precision grips. Scrap of lengths up to 250 mm are removed via a chute. First cuts and remnants are automatically discharged. Parts larger than 250mm are taken away via a roller-hoist discharge line. In many industries, it is not a component's length that is important but its weight. For these customers, an electronic instrument for checking bar diameters with measurement feedback is available. The measurement sensors signal any changes in bar diameter to the controller, which then modifies the component length. 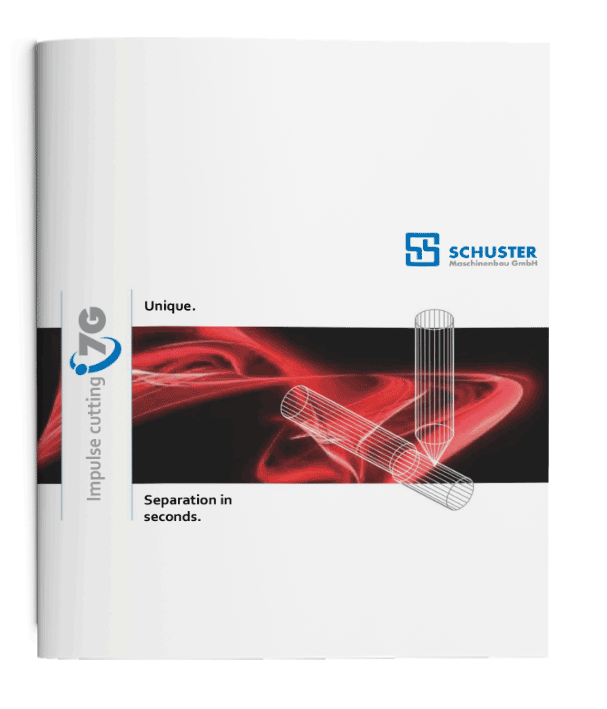 Do you have any questions regarding the cutting of solid material as well as pipes with our 7G Impulser? Simply fill in the form. One of our specialists will get in contact with you and will give you competent advice.